Ford Motor Co. confirmed on Friday its plans of reorganizing its salaried workers worldwide, flatten business operations and make the company more efficient that would result in less overall jobs for white-collar workers. The largest automaker employer in the U.S., Ford has over 85,000 workers in the United States and over 201,000 worldwide including as many as 70,000 earning salaries. No word was released as to the number of jobs that would be impacted. Mark Truby the global communications vice president at Ford said the company needs to dig into its process deeper prior to it knowing the absolutes. What has been started is a redesign of the global salary workers in North America, South America, Asia and Europe. The automaker, based in Dearborn, Michigan revealed its plan to employees on Thursday, saying the complete team is part of any overall assessment in identifying how the business can become stronger through limiting its corporate bureaucracy and the identification of its weaknesses across all areas, from finance and human resources to manufacturing and communications. No mention was made of any specific strategies or shutdowns, as the details are unfolding over the coming months more announcements will be forthcoming as the company makes decisions. The company, which started 115 years ago, wants its managers to be empowered with a broader span of control and over time fewer layers will exist and at the end less people. The plan’s goal is streamline the complete organization, said Truby. Ford is basically starting a reorganization of all salaried workers worldwide to support the strategy and the objectives of the company. CEO Jim Hackett said over a year ago in his 100-day report that he was planning to make Ford more fit. Employees at Ford were worrying during August about if the fitness would mean job losses. 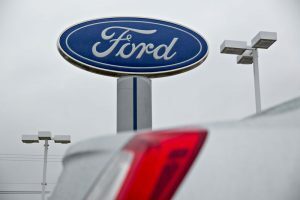 It was reported by a London daily that Ford’s European division that continues to lose money would face significant cuts. Most analysts say Wall Street is going to be very pleased with Ford’s latest plan as many Wall Street analysts have expected this to take place sooner as Hackett has now been there for over 18 months. Some observers in the industry wondered about the way Ford slowly rolled out its plan, which will run through the spring of next year.